Goodbye Kluane, hello Whitehorse! – or – Beavers, brown bears and bare icefields! It was finally time to for us to say goodbye to the ‘balls of sun’ of Kluane, pack our warm clothes and get ready to head to the far North. Packing meant reshuffling bags, storing away our fresh samples, ticking checklists and saying goodbye to the many old and new friends that we met over the last three weeks. Though not all was work and sad goodbyes. The evening before our departure we drove east past Christmas Creek to a small lake, where we had heard that one could see the American beaver, Canada’s most noble mascot. We were not disappointed: soon after our arrival, an adult Castor canadiensis banged its tail on the water to warn his two fellows we were there. 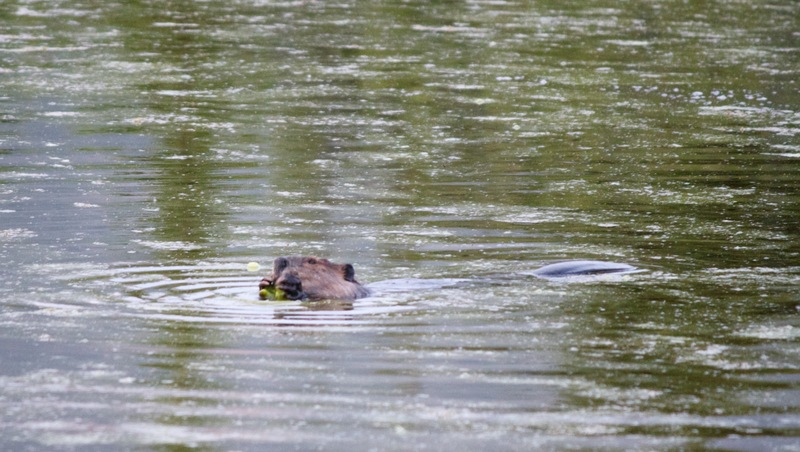 Canada’s most noble mascot munching away on some unidentifiable water plants. But more was to come: early the next morning Tom the pilot from icefielddiscovery took us up to the St. Elias Icefields and the foot of Mt Logan in a small Helio Courier – the best plane out there for high altitude landings and takeoffs! 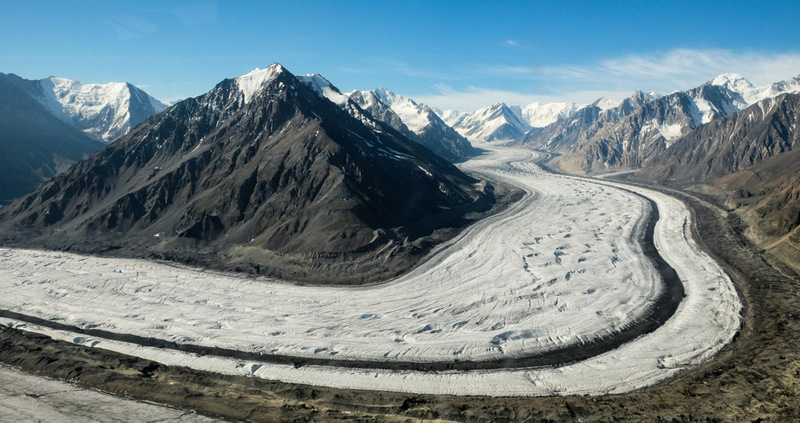 The St Elias range houses the world’s largest non-polar icefields, Mt Logan the largest mountain in Canada and (what shall I say..?) the largest mountain in the world by girth. All those superlatives meant blue glacial lakes, steep rocky mountains and snow topped plateaus as far as the eye can see. Once landed Joe took his shoes off and we all followed suit. 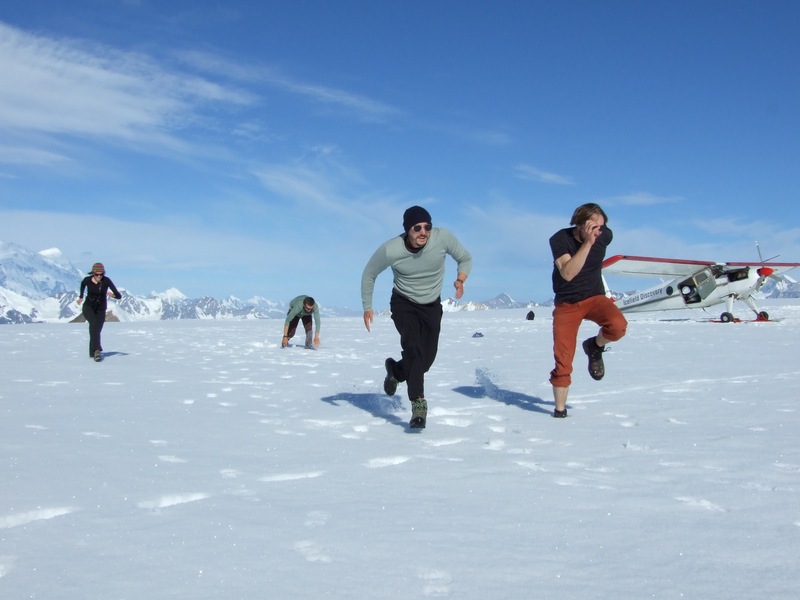 According to Tom, it was the first ever barefoot walk he had witnessed on the icefields. To warm up we raced across the crunchy snow and enjoyed the heat of the sun. Back at Base we finished our final tasks, stuffed our backs and hit the Alaska Highway back to Whitehorse. 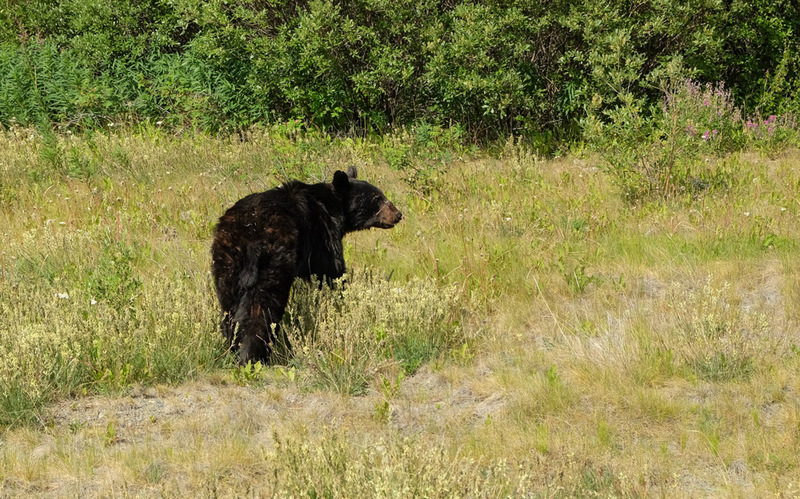 The three hour drive was spiced up by an unexpected sighting of a black bear enjoying the soapberries on the roadside and a stop at The Frosty Freeze in Haines Junction for ice cream. We arrived in Whitehorse in the evening, where we met up with Santeri – the last team shrub member to arrive in the Yukon – and Meagan: finally, Team Shrub was complete! After another day of shopping, packing and brainstorming science we’re now ready for our journey North and the early, early start tomorrow morning. < Shrub Pub on climate sensitivity of tundra shrub growth!